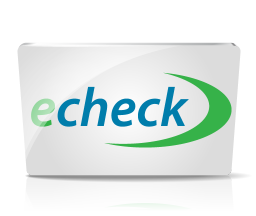 You can now pay with e-checks! Click the icon to learn more! Welcome to beautiful Topsail Island, NC, home of miles upon miles of beautiful, golden, pristine sand! We have Topsail Island vacation rentals in Surf City, North Topsail Beach and Topsail Beach. Visit us every year, or plan to become a permanent part of our coastal lifestyle! We can accommodate any of your Topsail Island real estate needs whether you're seeking a vacation rental or a beach home for sale. Are you looking for an oceanfront condo or cottage, a pet-friendly vacation rental, or a rental property with a swimming pool? We can help you find whatever real estate you are interested in whether it is an investment property or your new home-to-be. Haven't vacationed here before? Topsail Island, North Carolina, is the best kept secret on the Crystal Coast! We're about 30 minutes north of Wilmington. We're not overcrowded like some other vacation spots along eastern North Carolina! Pronounced tops'l, our 26 mile long barrier island was used in the 1700's by pirates who hid their ships in ambush awaiting hapless merchantmen that might pass by the Carolina coast. Only the pirates' topsails could be seen over the dunes, hence our name. There are about 3,500 year-round residents on the island enjoying the quiet seaside lifestyle. We islanders are very protective of our environment. We even have "The Turtle Hospital" the all-volunteer Topsail Turtle Project and Karen Beasley Sea Turtle Rescue and Rehabilitation Center. Topsail Beach is one of the premier vacation spots that is sure to lure you back year after year! Call us now or browse our website and find the vacation home that's well suited to your needs! The friendly and experienced staff of Island Real Estate can help you! To start your search for a Topsail Island vacation rental property, please choose the Vacation Rentals button. Looking to buy real estate on Topsail Island or in Surf City, North Carolina (NC)? Choose the Sales button. Let Island Real Estate find that perfect vacation home or income property. Just give us a call to find out what we can do for you! Why buy Vacation Rental Insurance?